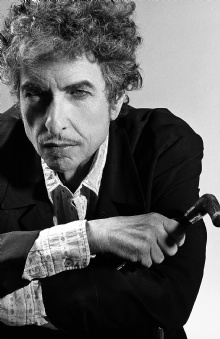 Bob Dylan is a famous Musician from USA, he is 77 years old and still alive, born May 24, 1941. Robert Allen Zimmerman (born in Duluth, Minnesota), is an American singer-songwriter, author, director, poet, guitarist, keyboardist and harmonica player, at a later time host of the radio. Dylan has been a figurehead in popular music for nearly fifty years, often described as a living legend in rock music. Many of Dylan's most acclaimed songs from the 1960s, when he became a prominent figure in the U.S. and he was considered by many to depict an entire generation. Some of his songs such as "Blowin 'in the Wind" and "The Times They Are a-Changin'" became the theme song to the U.S. antiwar and civil rights movement. Many of Dylan's early lyrics dealt with political issues, social criticism, philosophy and literary influences, defying former conventions of pop music and turned much of the counterculture. While he developed and personalized styles of music, he has shown devotion to many traditions of American song, from folk and country / blues to gospel, rock and roll and rockabilly, to English, Scottish and Irish traditional music, even jazz and swing. Dylan perform with his guitar, keyboards and his harmonica. Backed by a varying composition of musicians, he has toured steadily since the late 1980's, which has been called the "Never Ending Tour". He has also played with other great artists. Dylan's first album Bob Dylan released in 1962, which was then followed by many acclaimed albums like The Freewheelin 'Bob Dylan (1963), Highway 61 Revisited (1965), Blonde on Blonde (1966), Blood on the Tracks (1975), Oh Mercy (1989) and Time Out of Mind (1997). He is born under the zodiac gemini, who is known for Communication, Indecision, Inquisitive, Intelligent, Changeable. Our collection contains 46 quotes who is written / told by Bob, under the main topics: Beauty, Equality. "In the dime stores and bus stations, people talk of situations, read books, repeat quotations, draw conclusions on the wall"
"People seldom do what they believe in. They do what is convenient, then repent"
"Just because you like my stuff doesn't mean I owe you anything"
"I've never written a political song. Songs can't save the world. I've gone through all that"
"If I wasn't Bob Dylan, I'd probably think that Bob Dylan has a lot of answers myself"
"I am against nature. I don't dig nature at all. I think nature is very unnatural. I think the truly natural things are dreams, which nature can't touch with decay"
"I accept chaos, I'm not sure whether it accepts me"
"Don't matter how much money you got, there's only two kinds of people: there's saved people and there's lost people"
"Democracy don't rule the world, You'd better get that in your head; This world is ruled by violence, But I guess that's better left unsaid"
"Colleges are like old-age homes, except for the fact that more people die in colleges"
"But even the President of the United States sometimes must have to stand naked"
"Being on tour is like being in limbo. It's like going from nowhere to nowhere"
"Being noticed can be a burden. Jesus got himself crucified because he got himself noticed. So I disappear a lot"
"Basically you have to suppress your own ambitions in order to be who you need to be"
"At times in my life the only place I have been happy is when I am on stage"
"All this talk about equality. The only thing people really have in common is that they are all going to die"
"A song is anything that can walk by itself"
"A poem is a naked person... Some people say that I am a poet"
"A mistake is to commit a misunderstanding"
"A lot of people can't stand touring but to me it's like breathing. I do it because I'm driven to do it"
"A hero is someone who understands the responsibility that comes with his freedom"
"Yesterday's just a memory, tomorrow is never what it's supposed to be"
"What's money? A man is a success if he gets up in the morning and goes to bed at night and in between does what he wants to do"
"What good are fans? You can't eat applause for breakfast. You can't sleep with it"
"Well, the future for me is already a thing of the past"
"This land is your land and this land is my land, sure, but the world is run by those that never listen to music anyway"
"The radio makes hideous sounds"
"I'm just glad to be feeling better. I really thought I'd be seeing Elvis soon"
"I think of a hero as someone who understands the degree of responsibility that comes with his freedom"
"I say there're no depressed words just depressed minds"
"I like America, just as everybody else does. I love America, I gotta say that. But America will be judged"
"I have dined with kings, I've been offered wings. And I've never been too impressed"
"I don't think the human mind can comprehend the past and the future. They are both just illusions that can manipulate you into thinking theres some kind of change"
"I define nothing. Not beauty, not patriotism. I take each thing as it is, without prior rules about what it should be"